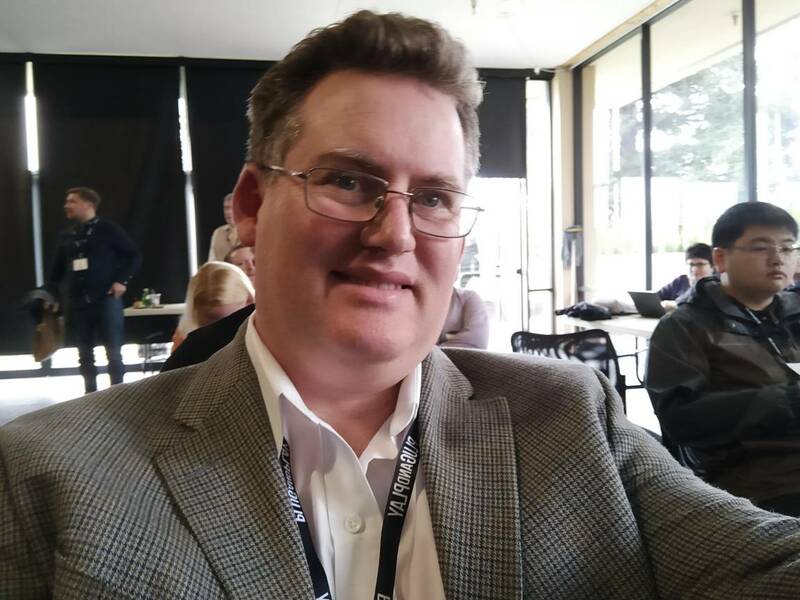 Thank you Russell for this great article and the article for Startup of the Month: Pheronym. 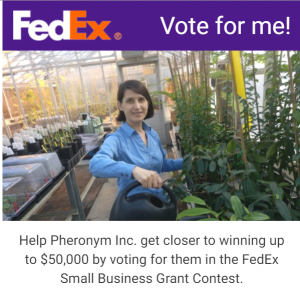 Vote for Pheronym in the FedEx Small Business Grant Competition! 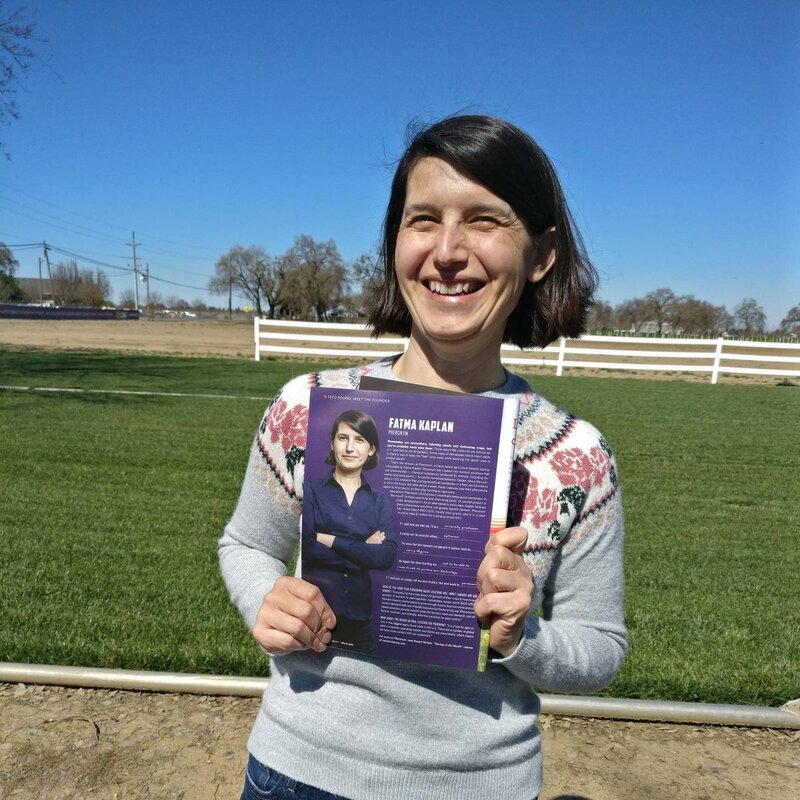 Help Pheronym win the $50,000 FedEx Small Business Grant! Vote for us. We will use the money to bring new, sustainable, eco-friendly agricultural pest control solutions to the market. Nematodes pose a conundrum to farmers. The worm-like microscopic creatures are everywhere. Some are parasitic, infecting plants and destroying crops — but others actually attack insect pests. The ability to target the “bad” while leaving the “good” unharmed would be a boon for agricultural production. 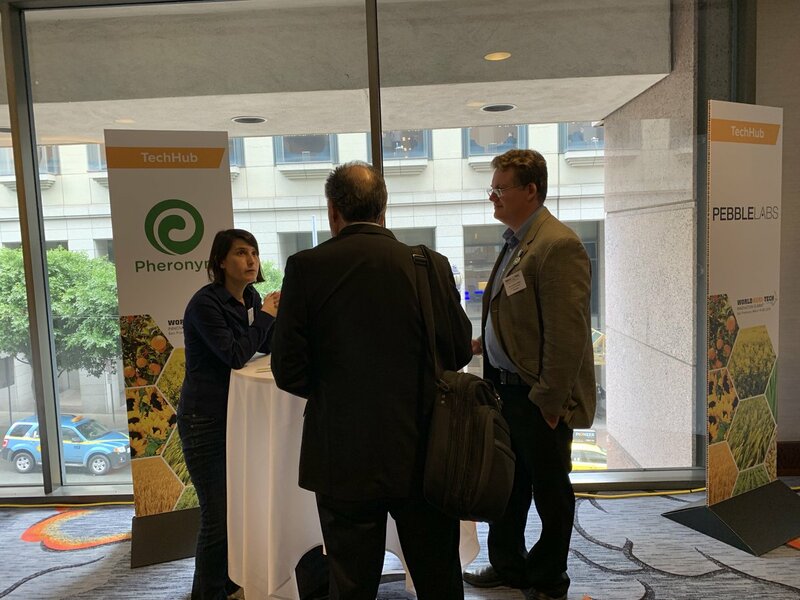 Pheronym co-founder Mr. Karl Schiller is presenting at Plug and Play our technology on nematode pheromones and eco-friendly agriculture pest control. 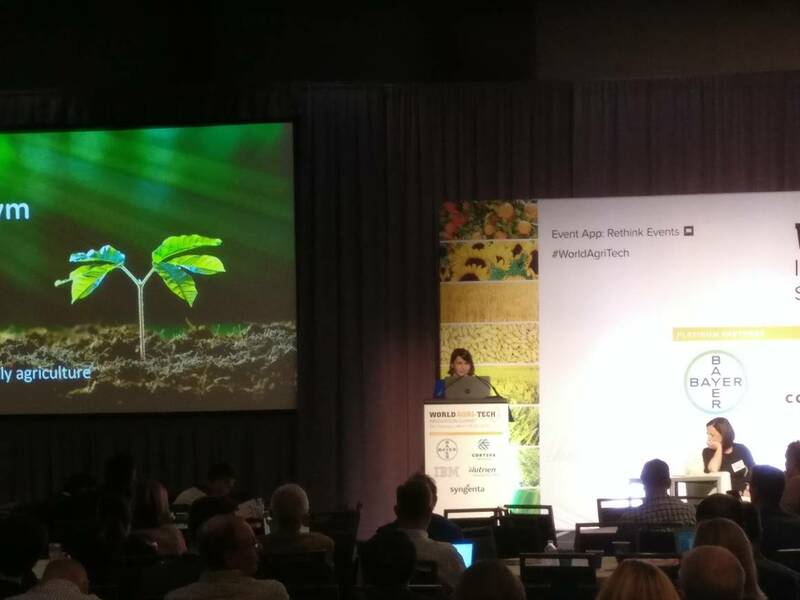 Davis soil-science startup Pheronym Inc. will test its biological pest controls in orbit later this year as part of a mission on the International Space Station. The research will help Pheronym understand nematodes’, or roundworms’, biological functioning on Earth, and potentially help astronauts feed themselves in future space missions. 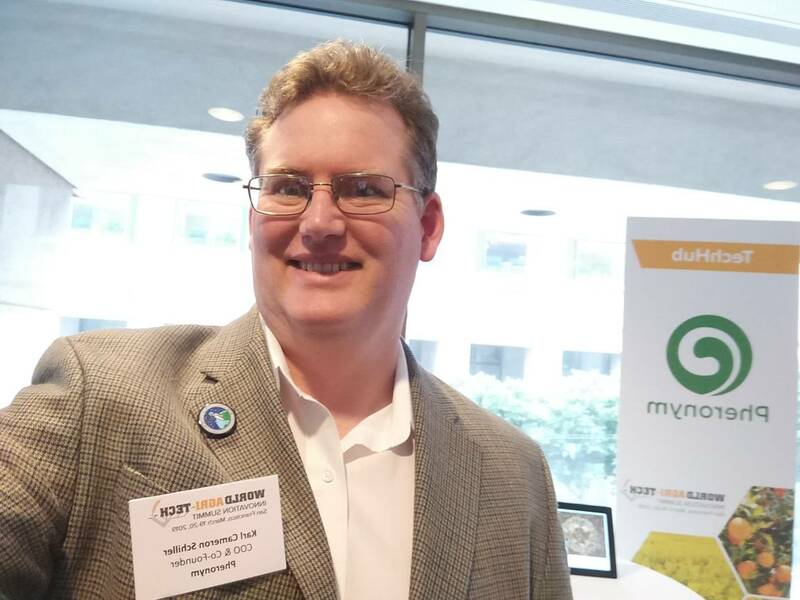 The space effort is also garnering attention for the small company, which is currently housed in the UC Davis-HM.CLAUSE Life Science Innovation Center in Davis. The space station effort has a Twitter handle, its own website and an Indiegogo crowdfunding campaign. 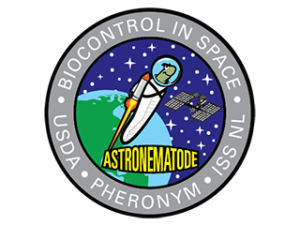 US agricultural biotechnology company Pheronym (Alachua, Florida) is collaborating with the USDA’s Agriculture Research Service (ARS) to send beneficial nematodes to the International Space Station (ISS) US National Laboratory to conduct agricultural biocontrol experiments in space. Keep reading. 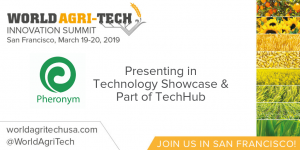 We are honored to be among 15 companies selected to present at WorldAgriTech Showcase session (12-30-1:30 PM), San Francisco, March 19, 2019. 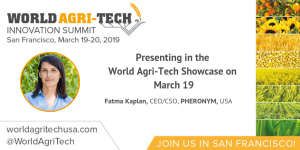 Come and see us present our exciting technology solution about Nematode pheromones to control pests. Visit and ask us at the Tech HUB about our new exciting experiment “First Ever Agriculture Biocontrol in Space” at International Space Station (ISS) US National Laboratory. 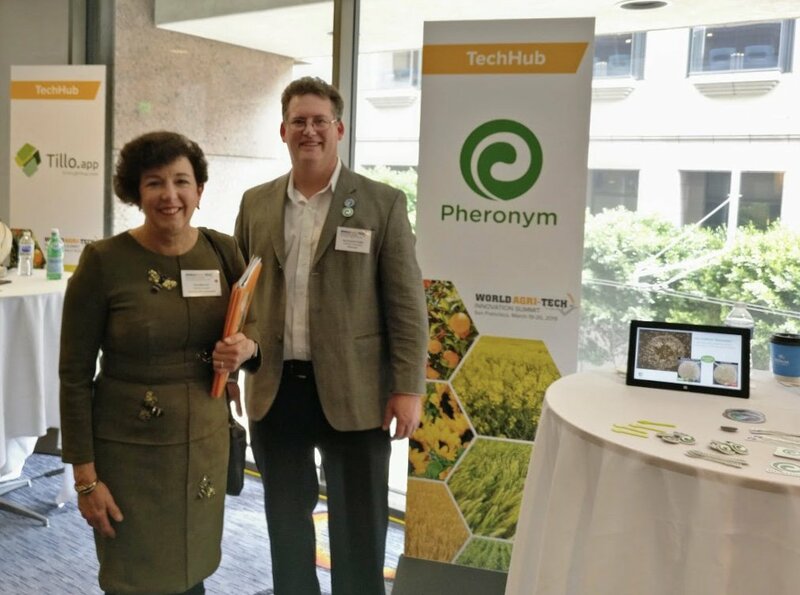 This experiment has immediate earth applications and contributes to Pheronym’s ongoing product development Nematsim as well as collaborative efforts with the USDA to improve beneficial nematodes’ effectiveness. To stay up to date on this exciting experiment, follow space worm @AstroNematode on social media (Twitter, Facebook, Instagram, and LinkedIn)! 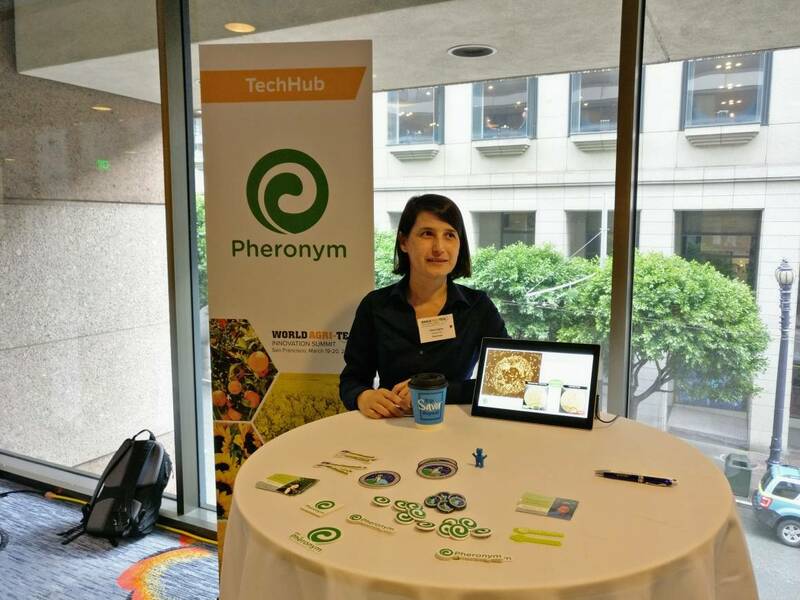 Pheronym, a bio-ag-tech pest control company, announced today it has received a $100,000 research grant from the International Space Station (ISS) U.S. National Laboratory to conduct agriculture bio-control experiments in space. 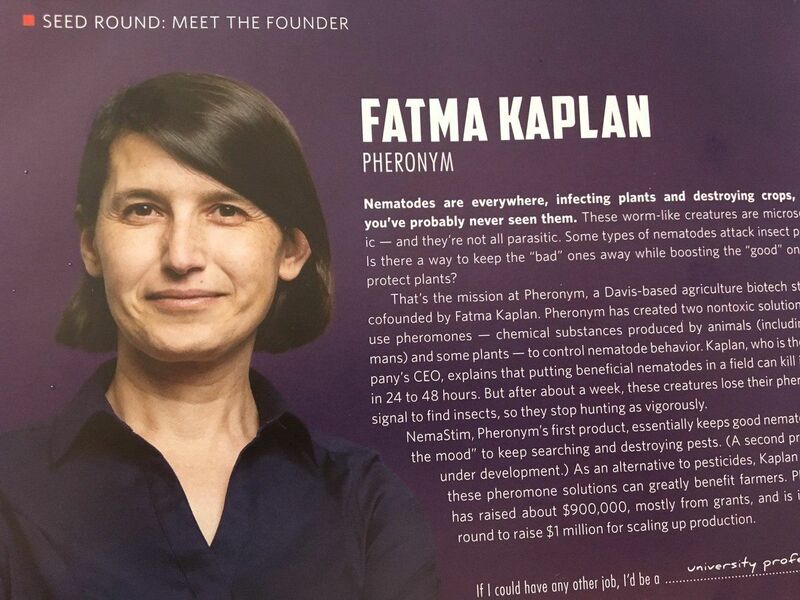 The science will focus on Pheronym’s breakthrough nematode bio-remediation technology and determine the impact that space travel has on the ability of beneficial nematodes to effectively manage pest control.  This is the third major grant secured by Pheronym within the last year, bringing the total of grants received to $1,000,000. The research is sponsored by the ISS National Lab, who partners with NASA to utilize the U.S. research allocation aboard the orbiting laboratory. Once launched to the space station, the project itself will be conducted inside of a NanoRacks’ NanoLab. NanoRacks, a for-profit hardware facility partner that supports research on the space station, will manage the manifesting, NASA safety review, integration, launch logistics, and on-orbit operations. All of this will be done in coordination with, and under the ISS National Lab flight allocation. To commemorate the achievement of this first ever experiment, Pheronym, in conjunction with the ISS National Lab, has approved an official mission patch, which can be seen at Astronematode.com. For more information and to see how you can participate in the mission, follow @AstroNematode on social media (Twitter, Linkedin, Facebook and Instagram) and support our crowdfunding campaign. Proceeds will fund continued experiments and commercialization of Pheronym’s technology. California, the company uses a new pheromone to control plant-parasitic nematodes (microscopic roundworms) in an eco-friendly way and also enhances beneficial nematodes’ efficacy to eliminate pest insects. Learn more at http://www.pheronym.com. About NanoRacks: NanoRacks LLC, an XO Markets company, is the world’s first commercial space station company with an existing customer base. 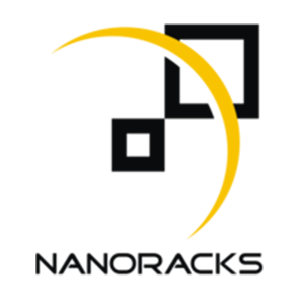 The company offers low-cost, high-quality solutions to the most pressing needs for satellite deployment, basic and educational research, and more – both at home and in over 30 nations worldwide. 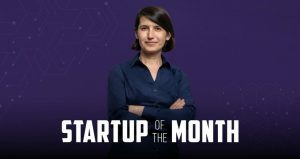 Since 2009, Texas-based NanoRacks has truly created new markets and ushered in a new era of in space-services, dedicated to making space just another place to do business. In 2005, Congress designated the U.S. portion of the ISS as the nation’s newest national laboratory to maximize its use for improving quality of life on Earth, promoting collaboration among diverse users, and advancing science, technology, engineering, and mathematics (STEM) education. This unique laboratory environment is now available for use by non-NASA U.S. government agencies, academic institutions, and the private sector, providing these customers access to a permanent microgravity setting, a powerful vantage point in low Earth orbit, and the extreme and varied environments of space. The ISS National Lab is managed by the Center for the Advancement for Science in Space, under agreement with NASA. Here is the ISS blog post about the project.